Reading tarot takes energy, a lot of energy sometimes. It is easy to underestimate how much energy you expend, especially when you are just starting out. Because of this it is of the utmost importance to be mindful of how you are feeling, to monitor your energy levels and to engage in self care. 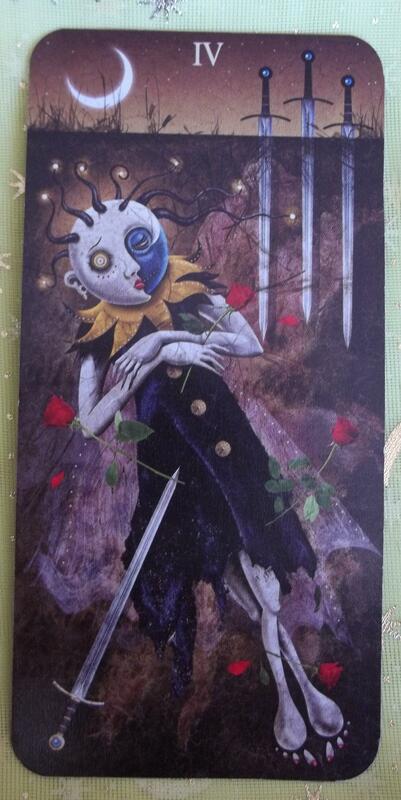 Trying to give a good tarot reading when you feel drained is miserable for everyone involved. 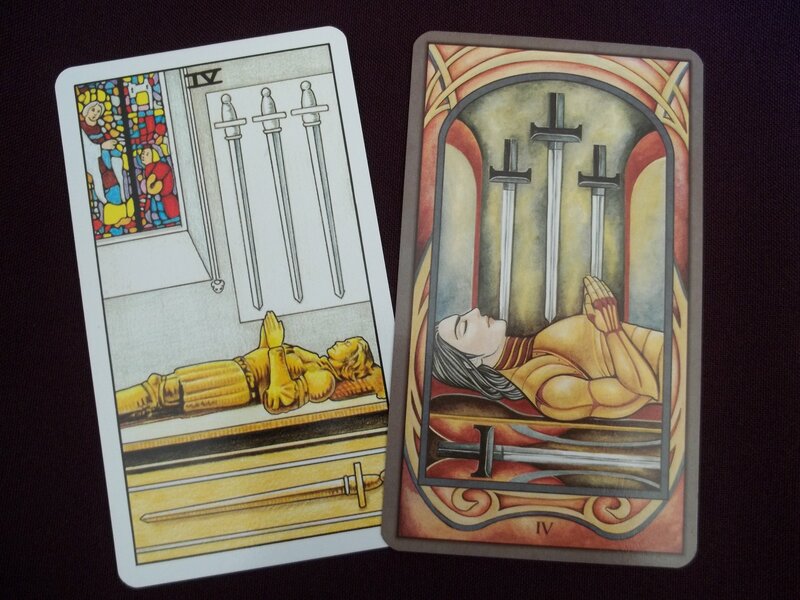 I recently took several weeks off from my regular reading schedule because I was feeling disconnected and was having to try way too hard to get messages from the cards. Now I feel re-energized and am connecting with the tarot better than ever. So how does one do this whole self care, taking breaks thing? When you are reading regularly it is important to engage in self care (You should do the first three all the time anyway. 🙂 ). It may seem like common sense, but its easy to overlook. –get enough sleep. Naps can be a great way to recharge too. –eat enough…I have a tendency towards low blood sugar and if I don’t eat there is no way I will be able to concentrate on anything. –if you are doing several readings in one day take breaks in between. –meditate or relax before and after reading for the day. –know thyself. For me trying to do more than a couple client readings a day is too exhausting. Everyone has their own energy level and skill level which will dictate how much they can handle. No amount is too high or too low as long as you are giving quality readings and don’t feel overburdened. Ensure that your schedule works for you now. –know and stick to your reading boundaries, this will reduce stress and internal conflict. –find ways to emotionally disconnect from your readings and clients once the reading is complete so they don’t continue to draw on your energy. –listen to your body and your mind, if you start to feel burnt out don’t push it. Take a couple days off. Even if you are the most disciplined person in the world and take care of yourself splendidly whilst you read tarot, chances are you will need to take a complete break from reading every once in awhile. How frequently will depend entirely upon you and how often you feel like you need it. Right now I’m taking a week or two off every couple months and it varies depending on how my energy levels are doing. There is no right or wrong amount of time or frequency for breaks. Listen to yourself and take an extended rest period when you need to. If you are concerned that you will lose touch with your cards then spend some time with them each day just enjoying the imagery. If you find that you don’t want to have anything to do with tarot during a break, go for it. Pack your cards away in a safe place, put your books back on the shelf, post on your blog, your website, your internet store that you are not available until a certain date and then kick back and enjoy some well earned rest. Don’t be afraid to pass on your weekly tarot meetup or your myriad of tarot related facebook groups either, they will understand.